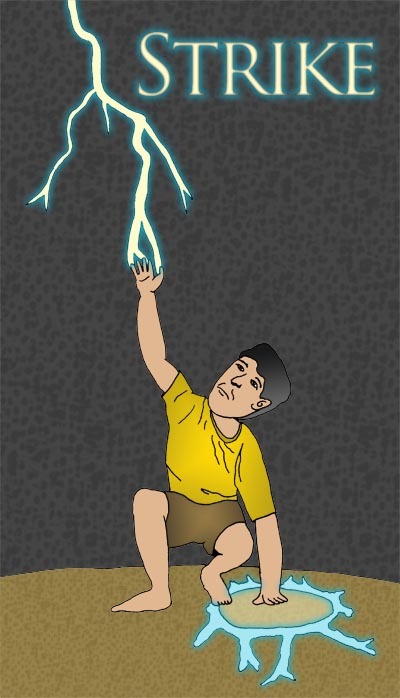 When barefoot, Strike can touch the ground and induce a lightning strike to hit him. His body acts as a conduit, allowing the electrical energy to spread through the ground. Lightning strike spreads through ground instantly disabling any electrical devices around him and knocking anybody out. Electrical conductivity of his body. "With me, it's one strike and you're out!"